The new Salvation Army Australia Territory has been officially launched with at least four new initiatives to achieve the National Vision of transforming the country one life at a time with the love of Jesus. 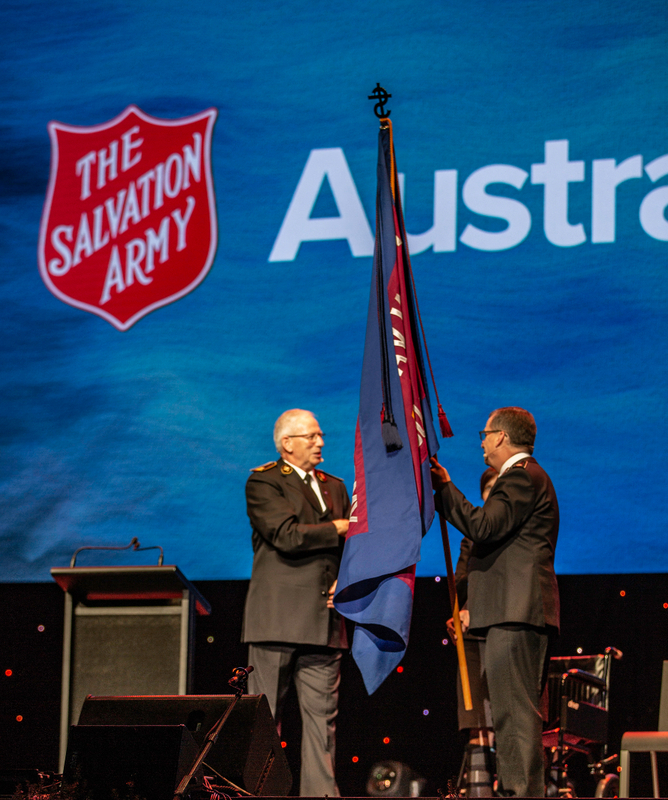 International leader General Brian Peddle launched the Australia Territory at a spectacular ceremony at Melbourne’s Convention Centre on 30 November. The Australia Territory will officially begin from 1 December, replacing the two former territories – Australia Eastern and Australia Southern. Commissioners Floyd and Tracey Tidd were officially appointed territorial leaders at the launch by General Peddle, who commended everybody associated with The Salvation Army for their contribution toward achieving one territory. The release of at least $2 million in the first six months of 2019 to enhance innovation at the front line of mission through an Innovation Fund. The funding would serve as a catalyst to fresh and creative expressions of mission with ongoing contributions to the fund in the annual budget provision. Funding of up to $5 million to be allocated from the annual Red Shield Appeal doorknock to assist corps and centres actively involved in local mission. The amount to return to each area will relate directly to how much is raised in the doorknock locally. A review of the approaches to and effectiveness of creating vibrant corps and communities of Christian faith in 27 areas across six divisions, looking at each area opening new corps and faith communities in the next three years. An intentional commitment to establish a Gen Z-focused faith community (people born from the mid-1990s to the early 2000s) in each state capital city in the next two years. Commissioners Floyd and Tracey Tidd encouraged Australian Salvationists to see “the new thing” that God had already begun to do in The Salvation Army in Australia. 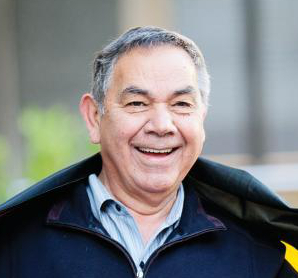 They acknowledged there had been pain felt by many impacted as the move to one territory occurred and they expressed gratitude for those who had continued to serve faithfully in their roles. “Let us clearly understand that God’s ‘improved future’ is an improved future not just for us, not just for The Salvation Army, but for ‘still others’,” they said. 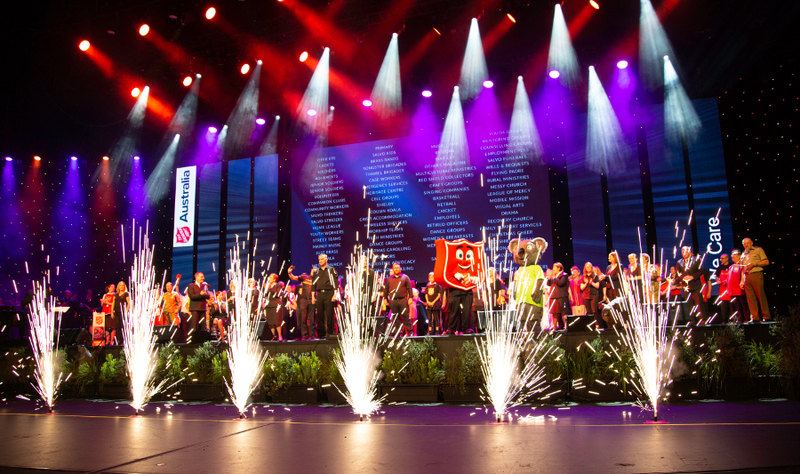 The comments of the General and Territorial Commanders were featured in a colourful showcase of The Salvation Army’s current work in Australia through music, dance and drama at the Melbourne event. The night opened with a moving recognition of Australia’s Indigenous heritage through a traditional Welcome to Country by Aboriginal elders Uncle Norm Terrick and Uncle Vince Ross (pictured right), who is The Salvation Army National Aboriginal and Torres Strait Islander Advisory Council chairperson. Australia’s progression through immigration to become one of the most multi-cultural and multi-faceted countries in the world was portrayed in a “parade of nations”. Examples of modern-day mission in the Australian Salvation Army, as exemplified in the National Vision Statement, were shown through personal stories of lives changed in all states and territories. Immediate reaction from people attending the Australia Territory official launch was positive. Copper Coast (South Australia) Corps Officer Captain Karen Armstrong was impressed with the announcement regarding some Red Shield Appeal doorknock funds being applied to local corps and communities. “I can see so much potential there,” she said. I am looking forward to what will be achieved as we work together as one territory,reaching out to those whose needs are great with the love of Jesus. Although I am unable to do much physically due to physical disability and age,I will continue to pray and trust in what our amazing God will do as we all work together in one accord!